In the village of Koskenkorva, Finland, life isn’t complicated. We have good barley, pure water, dedicated local farmers and state of the art distillation process. We work with nature’s best ingredients to create a smooth, honest vodka. It’s as simple as that. 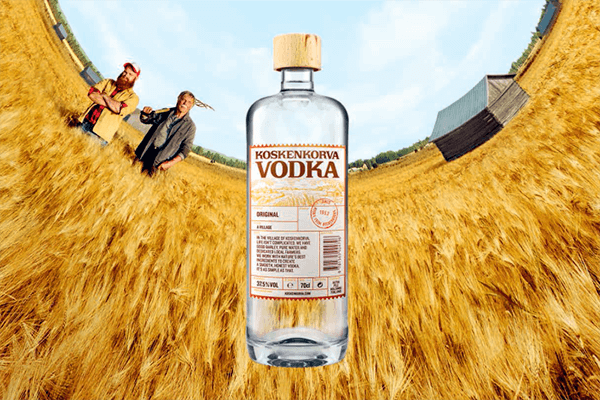 Koskenkorva Vodka is owned by Altia, a leading Nordic alcoholic beverage brand company operating in the wines and spirits markets in the Nordics and Baltics. Altia exports Koskenkorva Vodka to approximately 30 countries. Finnish Lapland is a place where time stands still and the importance of living in the moment is crystallised. Bringing this unique feeling and lifestyle to all who desire it has been the mission of Arctic Finland House from the start. 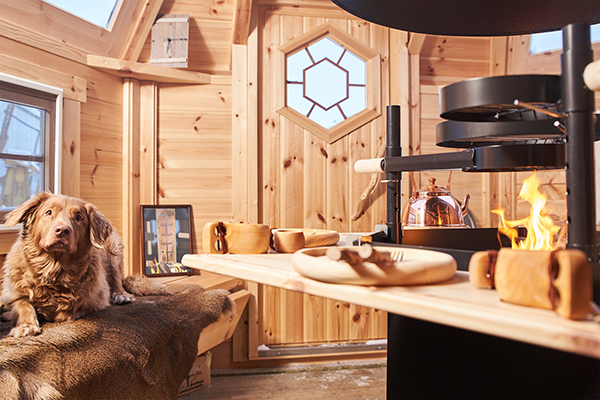 The atmosphere of a Lapland barbecue hut touches and impresses everyone who steps inside. Come and experience something you didn’t know you were missing. Biocode is a Finnish service innovation for food companies, farmers and consumers for making ecological choices. It helps to improve product competitiveness by providing correct information specific to the company, as well as tools for curbing the climate change and increasing product visibility. The service brings transparency to food production and consumption through digital means. 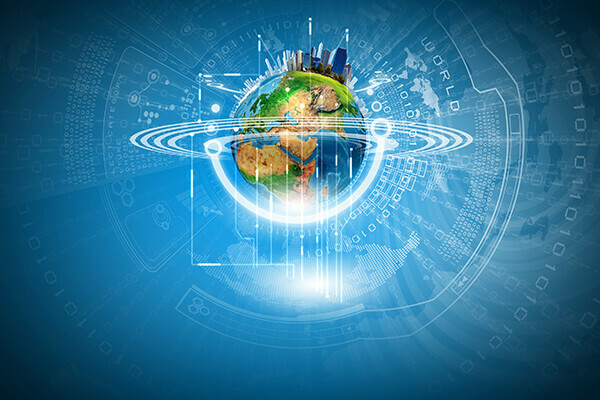 The service innovation is also aiming for international markets. 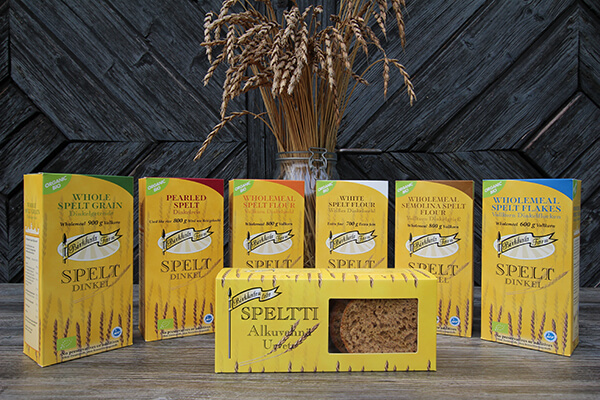 Birkkala Farm specialises in growing organic spelt and producing various mill products from it. Our spelt flour is stoneground in the traditional way, and our flakes are cold-rolled, ensuring that our products retain the good spelt taste, as well as all the nutrients. Protein-rich spelt gives a nutty, aromatic and rounded flavour to both baking and cooking. Watch our video. Helsinki Mills is a family business developing, producing and trading in various grain products and food solutions. We are Finland’s biggest processors of organic grains and significant exporters of oat products. 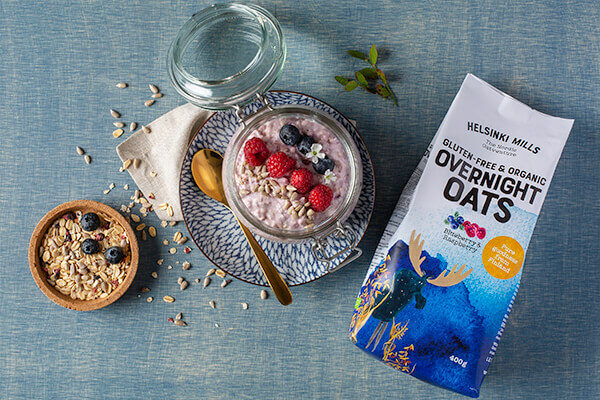 We offer genuine Finnish superfood – delicious, healthy and easy-to-use products made from pure, gluten-free organic oats by environmentally friendly methods and using renewable energy throughout. All our oat products are 100% wholegrain. They contain plentiful fibre, vitamins and proteins, but absolutely no animal-derived raw ingredients or allergens. 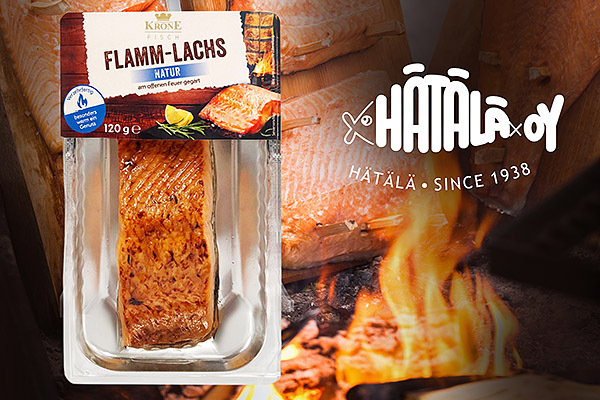 The Nordic market leader, Hätälä, is engaged in the sustainable production of honest fish from the North in Finland, near the Arctic Circle. We combine traditional handcraft skills and latest technology to produce premium fish products, based on 80 years’ experience. A genuine delicacy – ready to enjoy! Flamed salmon is a prized Scandinavian fish delicacy. Its excellent flavour is suitable for all kinds of mealtimes, from feasts on special occasions to a quick salad for lunch. 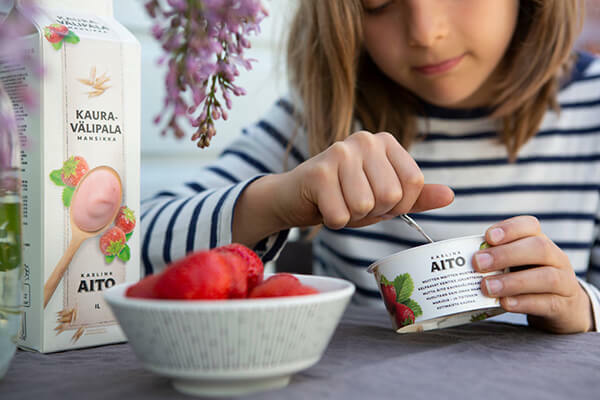 The family business owned by three Kukkonen brothers is one of the largest Finnish producers of cookery products, beverages and snacks. They include oats-based products, dairy products, sauces and waters, already sold in more than 15 countries in Europe, as well as in China. Being environmentally friendly is important to us, and ecological thinking runs through our entire production chain. Like many other brilliant ideas, Kyrö Distillery Company was conceived on the sauna benches while five friends were sipping American rye whisky. The boys saw no reason why rye whisky couldn’t be distilled in Finland, too. The idea made rapid progress, and a home for the rye distillery was found in an old co-op dairy in Isokyrö. While the whisky is still maturing, Kyrö is particularly renowned for its award-winning Napue gin. Laihian Mallas Oy is one of Finland’s oldest maltsters. Our products combine tradition and new innovations. 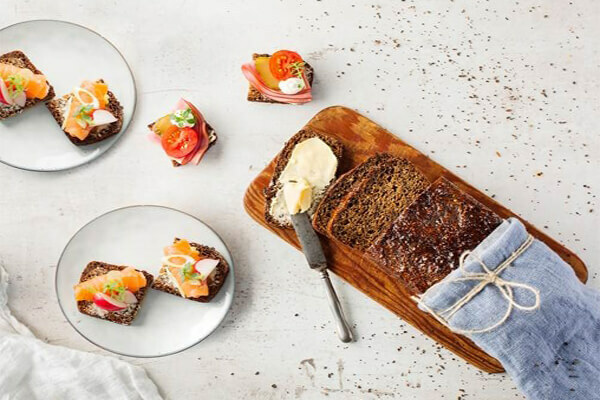 The raw ingredients, rye and oats, are Finnish grains, ripened by the nightless night. Our tasty grain products, Sweet Malt Bread Mix and Oat Powder with Wild Blueberry, Barley and Pea suit every taste. We invite you to experience the power of pure arctic nature! 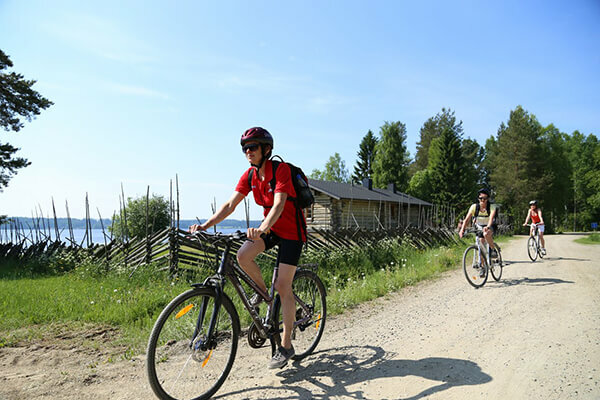 Finnish rural holiday businesses offer versatile and high-quality tourist services all the year round – comfortable accommodation, tasty fare and activities in various parts of Finland. The changing seasons, clean natural environment, waterways, forests and hiking or trekking routes invite you to activity holidays. We serve locally produced, pure Finnish food. You can take part in gathering the delicacies, picking berries or fishing. Our product family comprises unique premium foods aimed at consumers who are environmentally aware and quality-conscious. The varied selection includes sauces and syrups, beverages, jams, sweets, snack products, powdered berries and elixirs made from berries and wild herbs grown in the nightless nights of Lapland. The range also contains meat, together with meat and fish products. In its role as national tourism expert, Visit Finland is responsible for promoting tourism into Finland. It is part of Business Finland and the Team Finland network. Finland as a destination offers holidaymakers clean air, unending verdant forests and crystal-clear lakes. Unpolluted virgin nature, peace and quiet, the sauna and healthy food straight from the forest or local producer make a perfect holiday. Nordic cuisine is based on natural ingredients and a relaxed atmosphere. Welcome to Paradise! 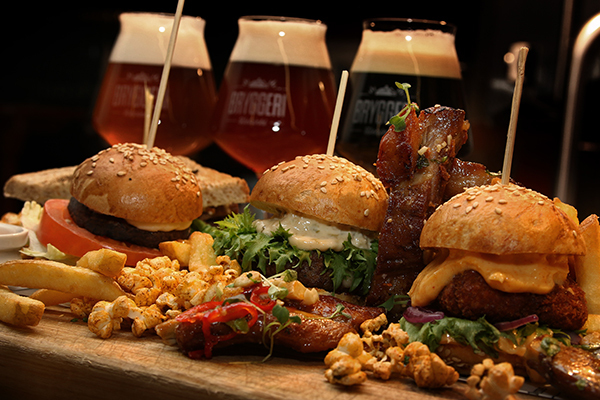 Bryggeri Helsinki is a brewery-restaurant located in the Tori Quarters in Finland´s capital. 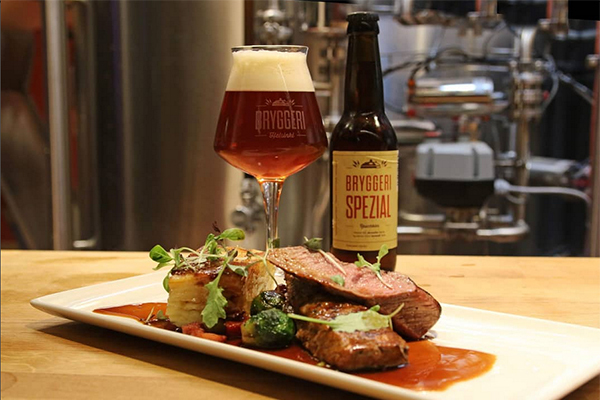 In the heart of town the most important elements of its business, Bryggeri´s skilfully crafted beer and top quality food are produced. The annual beer production is about 1.700 hectoliters and most of it is consumed freshly on location, but also sold in retails shops both in Finland and Germany. There are also 10-20 bottled beers on sale. Spend time in fresh air, admire the wild lakeland scenery. Be enchanted by culinary experiences provided by nature: the gifts of forests, fields and waters. Enjoy the peace and tranquillity of nature. Dinner is served – welcome in. The Tasty Western Lakeland stand displays products from small companies in the Finnish countryside. Their strengths are locality, unique character and superb quality. The range includes berry wines, -juices, -honey, jams, meat preserves, cheeses, gluten-free bakery products and spring water – superfood from natural ingredients, foods from hemp and spelt, along with accommodation services. North Karelia is the easternmost region of Finland, adjoining 302 km of Russian border. 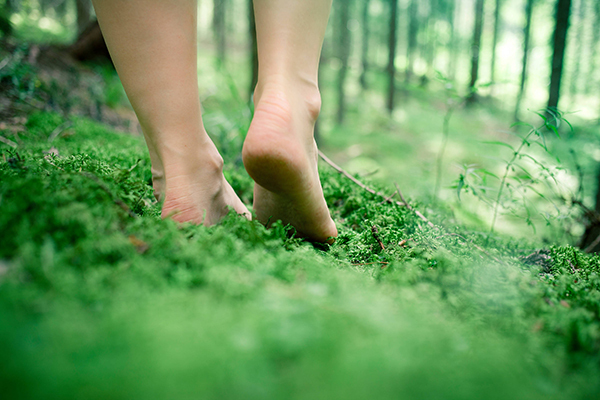 Here you will still find peace and clean air to breathe. The population in an area a little smaller than Brandenburg is only ca. 160,000. Our holiday businesses offer sustainable tourist services from the love of nature, sprinkled with Karelian hospitality. Our stand also contains finds like Food Heaven and international award-winning gin. Kainuu is filled with a wealth of experiences all the year round. The opportunities are provided by nature in all its many forms. 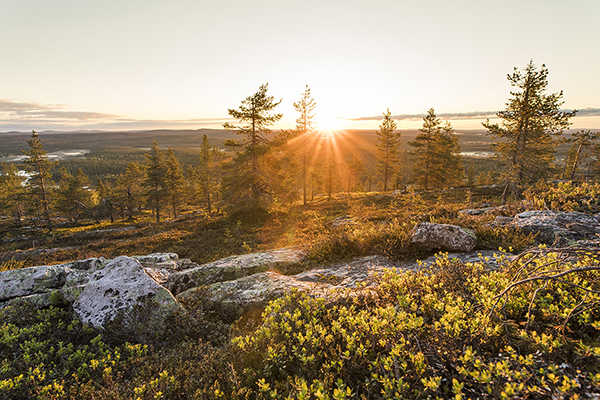 Large wild animals, fresh coniferous forests, crystalline waterways, the last wildernesses in Europe, varied activities, unique history and traditions, distinct changes of season, and year-round services are some of Kainuu’s trump cards. The products on Kainuu’s stand offer experiences straight from the wilderness. The southwestern corner of Finland is a tourist’s treasure chest, containing exquisite island and coastal scenery, modern city life, rural tranquillity, and good services. The pure and healthy food blows you away. Welcome to enjoy the Finnish archipelago!